As with many Fi deals, there are a few terms you must satisfy. The phone must be activated within 30 days on a SIM with full service (data-only won't work). You must be 18 or older and have both a Google Payments and a Project Fi account. There's a limit of one phone per customer (or one phone per member of a group plan). The $150 will be credited to your bill 45-60 days after activation. Lastly, the service credit will be taken away if the order is returned or canceled. 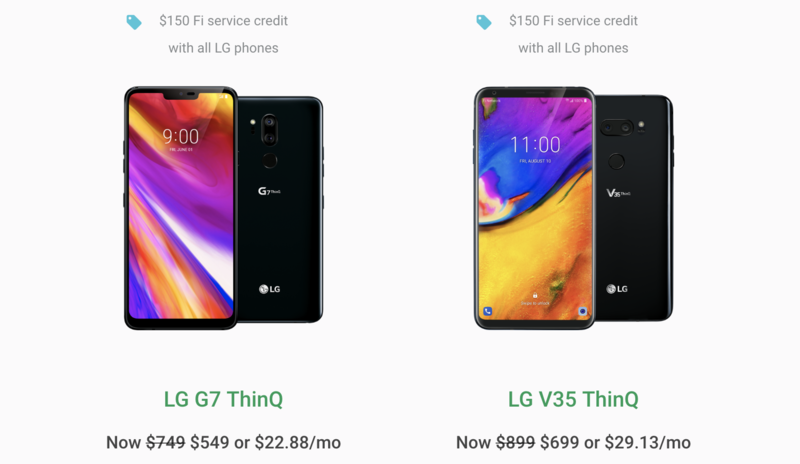 We're not sure when this deal will end, so get on it quickly if you're on Fi and have been looking to pick either LG phone up.